We proudly serve drivers in Omaha and the surrounding communities of Council Bluffs, Bellevue, Lincoln, and Blair. Here at Nissan of Omaha, we provide our customers with the utmost professionalism and courtesy when finding the perfect rate on a loan for their vehicle purchase. We make it our top priority in pairing you with the Nissan model that fits you best while staying within your projected budget. Our expert finance team is here to assist you every step of the way during the buying process so that you feel comfortable and at ease before driving off our dealership in your brand new or pre-owned Nissan vehicle. When you are shopping for a car one of the most important things that you will need to do is get the best possible auto loan or lease. Finding the best financing option will make it easier for you to get a new Nissan or used Nissan that will fit your needs and budget. Here at Nissan of Omaha, we have a finance department that is full of staff members who will help you to see the differences in buying or leasing your next car. You will quickly realize that we are the best Nissan dealer for Ashland drivers! Once you have decided on the car you want to purchase, our staff members in the finance center will work with you to decide whether an auto loan or a lease will be the choice for you. The biggest difference between these options will come down to cost and length of ownership. With an auto loan you will on average pay more money per month, and with a lease, you will pay less. Additionally, once you have paid off your Nissan loan you will own the car, but with a lease, you will have the choice to extend the lease, buy the car, or get a new car! Our staff members will make sure that you know the difference and help you choose the option that works best for your budget. Visit Our Finance Department Today! 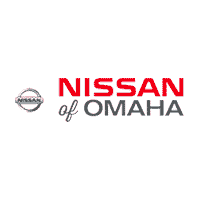 For drivers looking for a Nissan lease in Ashland or Waterloo, Nissan of Omaha is the premier place for you to do your shopping! Our dealership works with several financial lenders to find you the most affordable rate possible when you’re ready to commit to buying the car you’ve test driven. Once locating the perfect loan option, our team goes over every detail with you so you remain aware of the terms of the contract before signing the dotted lines. It is our mission to place you in the driver seat of the car you were meant to drive. See what options are available to you by speaking with our Finance department. Other tools in our drop-down Finance Center selection include a trade appraisal tool for your current vehicle and a payment calculator, so you can prepare your finances before your future purchase. Make the trip over to our dealership today to have a more concise and easier shopping experience where we will make sure more drivers will get the auto loan they dream of in the Omaha area. We hope to see you soon!